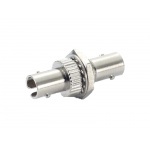 Optical adapters (sockets) are designed for plug connection of optical fibers. 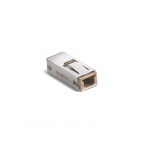 Optical fibers with preinstalled connectors are positioned and fixed by optical adapter providing durable connection. 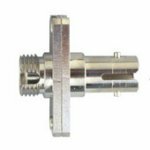 Depending on design there are different types of adapters: SC, FC, LC, ST, E2000. 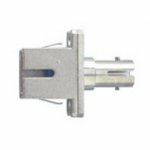 Adapters of SC and LC types are also manufactured in doubled version (duplex), when two adapters are placed in one case. For better visual identification of connectors with angle end finishing (АРС), adapters for connectors of АРС modification are coloured green. 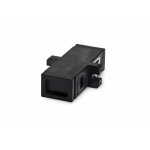 Also combined adapters for interconnection of optical connectors of different types are manufactured. 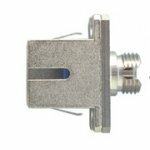 The most common combined adapter is SC/FC. Due to using of precise guide sleeves from zirconia ceramics, the additional insertion losses from adapter are not higher, than 0,1 dB.